Thinking of adopting a cat? First, check out these helpful tips, gathered by American Humane. If you’re thinking about adopting a cat, consider taking home two. Cats require exercise, mental stimulation, and social interaction. Two cats can provide this for each other. Plus they’ll provide more benefits to you. Cats’ purring has been shown to soothe humans as well as themselves – and they have an uncanny ability to just make you smile. A great place to start your search is online. Sites like petfinder.com let you search numerous shelters in your area simultaneously to help narrow your search and more quickly find the match that’s right for you and your new feline friend. Find a cat whose personality meshes with yours. Just as we each have our own personality, so do cats. In general, cats with long hair and round heads and bodies are more easygoing than lean cats with narrow heads and short hair, who are typically more active. Adoption counselors can offer advice to help you match the cat’s personality with your own. Pick out a veterinarian ahead of time and schedule a visit within the first few days following the adoption. You’ll want to take any medical records you received from the adoption center on your first visit. 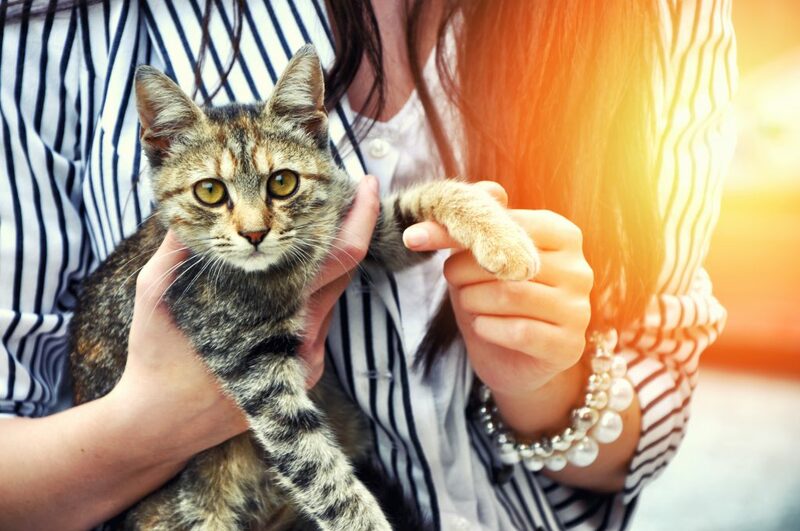 Kittens in particular should accompany you to make the appointment – even before the exam itself – so staff can pet the cat and tell you that you’ve chosen the most beautiful one ever.